Milwaukee's Sherman Park bucks segregation trend by putting community first. Explores the ways to dispel stereotypes and break free of the boxes that suffocate us all. Father Bill Johnson discusses how a school in Milwaukee raises the next generation of volunteers. 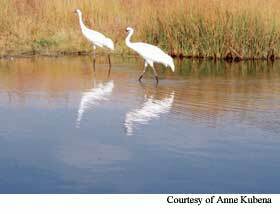 International Crane Foundation helps protect cranes as well as the people who share their habitat. Make sure to check out our Online Exclusives!